Similar to Tillandsia Bergeri in appearance, however Tillandsia Aeranthos produces a darker blue flower from the pink flower spike. 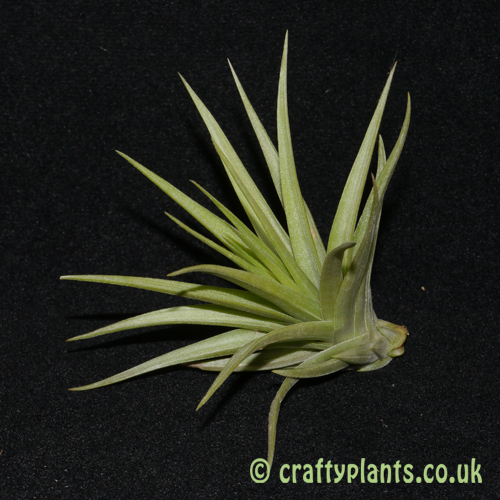 Tillandsia Aeranthos produces it’s vibrantly coloured inflorescence annually like clockwork. 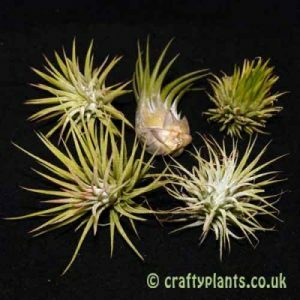 In habitat, Argentine, Brazil, Paraguay and Uraguay, this air plant grows at varying altitudes from just above sea level to several hundred meters, and is particularly popular with hummingbirds. 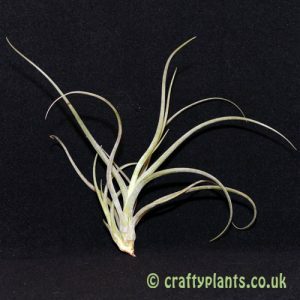 Aeranthos produces ‘pups’ or baby plants after flowering and over a few seasons can form an attractive cluster. Commonly known throughout parts of Latin America as “Claveles del aire” (‘carnations of the sky’), and inspiring the Argentine composter Juan de Dios Filiberto’s tango of the same name. 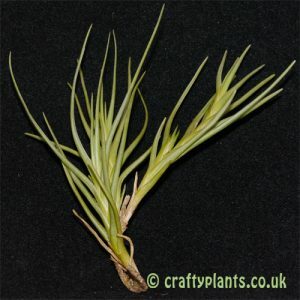 One of the hardiest airplants, Tillandsia Aeranthos can tolerate lower temperatures than most airplants and if properly acclimatised can be grown outdoors in mild areas given a slightly protected spot, although it will not tolerate frost. 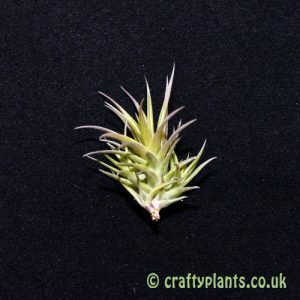 A very tollerant variety, perfect airplant for beginners and seasoned growers alike.